"The King's Speech" Oscar winner Tom Hooper is behind the camera for this movie adaptation of Andrew Lloyd Webber musically. 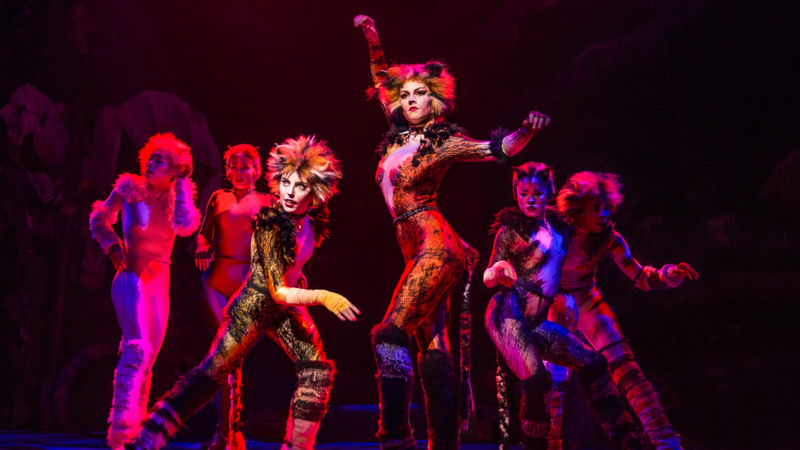 "Cats" only wrapped the production on March 30, but it didn't stop the upcoming movie adaptation of Andrew Lloyd Webber's musical image from making a first impression on CinemaCon during the Universal Pictures presentation. The studio revealed some of the first Christmas Tent recordings written and directed by "The King's Speech" Oscar Winner Tom Hooper. The filmmaker has experience with film musicals who have directed Universal's "Les Misérables", which opened on July 2012 and earned $ 441 million worldwide and eight Oscar nominations. Universal certainly hopes that "Cats" follows a similar path. Universal did not show actual footage from the movie, but there played a back-the-scene featurette that highlighted the cast that spoke of the musical adaptation. A majority of the footage showed the play in dance exercises, including Taylor Swift. The big takeaway from the set shooting was watching the actors wearing VFX dots on their faces and motion capture suits, because special effects will be used to transform them into cats. It is unclear at this point in time to what extent motion capture will be used, as no recordings were screened. VFX will add fur to the actors and make their faces more cat-like. The video said the film uses "digital fur technology to create the most perfect coat of coat." The video also confirmed the film's scope will be cat-shaped. Production designers built the set to be oversized to make the actors smaller and thus the actual size of cats. The idea was to not only scale the film properly, but also to give the audience a sense of childhood magic (when you are small, the world seems to be bigger). The cast also dreamed the movie has a timely notice of involvement. Jennifer Hudson performed at CinemaCon after the footage was debuted to perform the song "Memory" as her character Grizabella celebrity sings. years in London and for 18 years on Broadway, which became the fourth longest musical in Broadway's history. The film's cast includes Jennifer Hudson, Taylor Swift, Idris Elba, Ian McKellen, Judi Dench, James Corden, Rebel Wilson and Jason Derulo. Universal will open "Cats" in theaters nationwide December 20th. #CatsMovie uses "digital fur technology " #CinemaCon . I promised cats and we got cats! One behind the scenes rolls as there are no recordings. Sign up: Stay updated on the latest breaking movie and TV news! Sign up for our Email Newsletters here.